Owned by Yahoo! 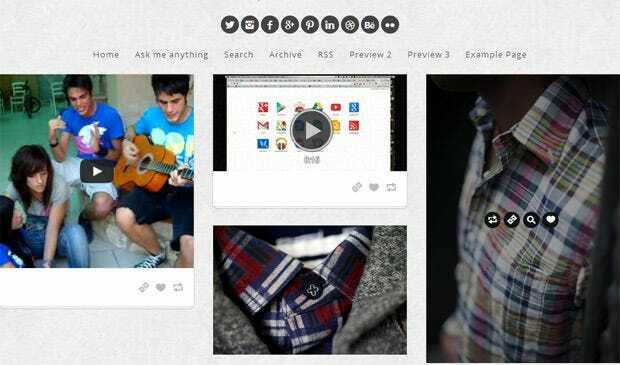 and founded by David Karp, Tumblr is a social networking site and also a microblogging platform. 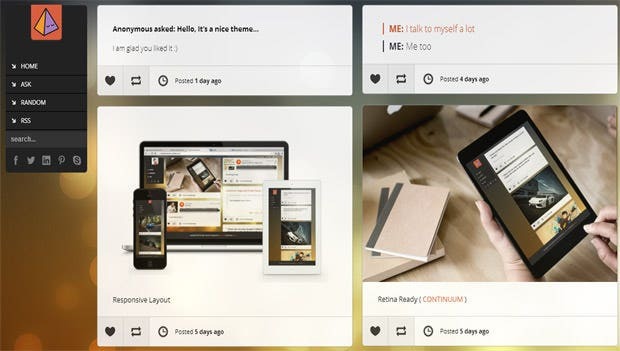 Users can post multimedia and other content to talk about various issues in the blogging world. Users follow each others’ blogs depending on interests. It is also possible to make blogs private so that only people who are invited can see the content. The site has millions of blogs and more people are joining every day. 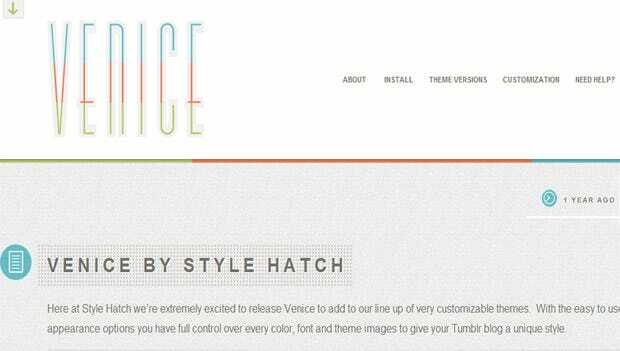 If you want to create a blog on Tumblr, you may start off by selecting templates that are available online. 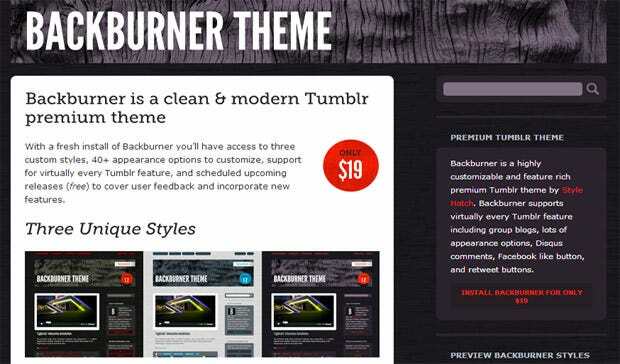 Here are 20 of the best Tumblr blog templates. This is a template that is ideal for showcasing images. It can be used by a handcraft blogger. The design is clean and the thumbnails clear. A Tumblr template that is optimized for use on mobile devices and is also great for a picture blog. 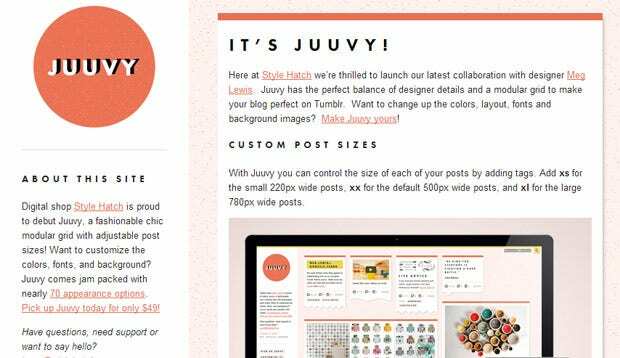 The layout is responsive and a jQuery plug-in allows you to determine the size of each post. 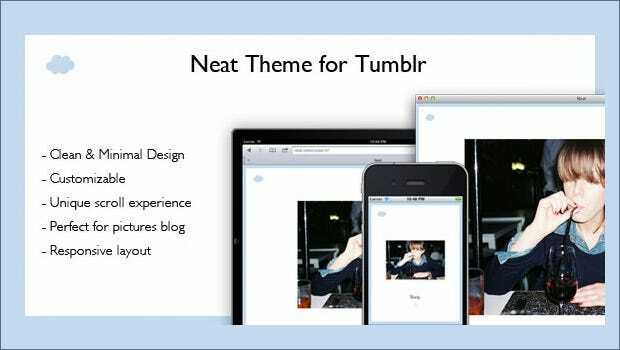 A great Tumblr template for people who want to see their posts in a timeline fashion similar to that found on social networking sites. This is a neat template which is a result of the combination of two former independent themes. The posts are tiled making it easy to follow. This is a precursor of the above theme and has a nice black background with white text. 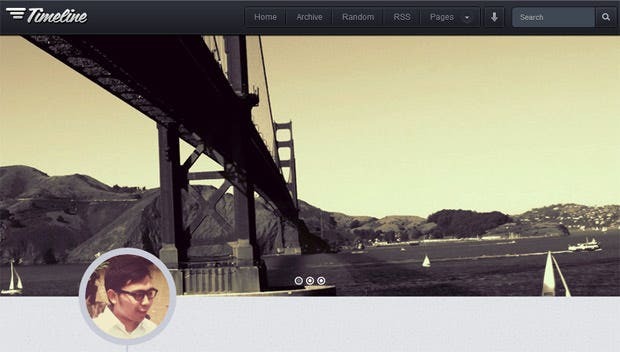 One can change the look of the theme by changing the CSS file. This is a template with mixed media posts. It is a short-form blog and can be easily modified by editing the HTML code. Another simple Tumblr template ideal for a photo blog. If you want to blog using a lot of photos, then this is the perfect template for you. 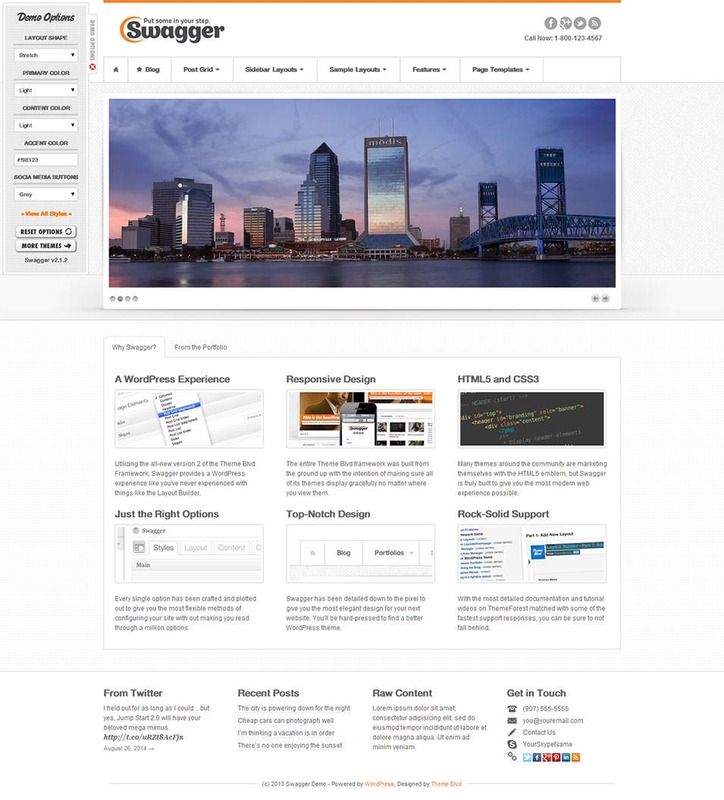 A theme that is optimized for use on Smartphones and tablets. It is clean and has a nice structured layout. It supports mixed media. This is the second version of the template and it has been made for comfortable reading. It has a clean white layout and is able to handle high-resolution images. It has an infinite scroll. 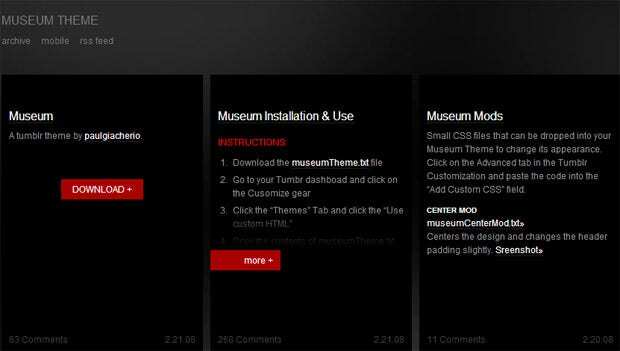 A Tumblr template that can have mixed media and high resolution content. It is also clean and allows for easy reading. An ideal Tumblr template for the photo-blogger. The sidebar also allows for images to be posted. The images on the sidebar scroll down the page. 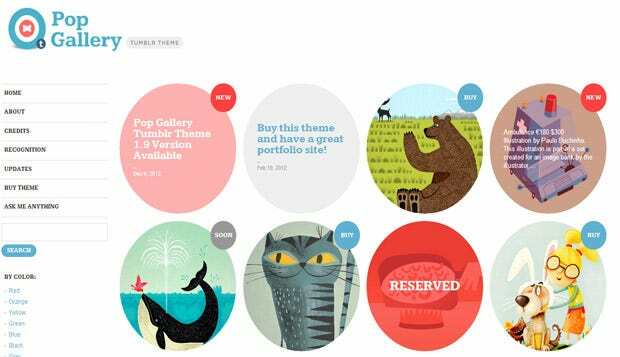 This is a single-column theme that is ideal for imagery. It is optimized for use on mobile devices. It has a black background that can be customized using CSS. A simple blog with a black background that is very clean. The background allows for great presentation of the images. It has a tiled layout. 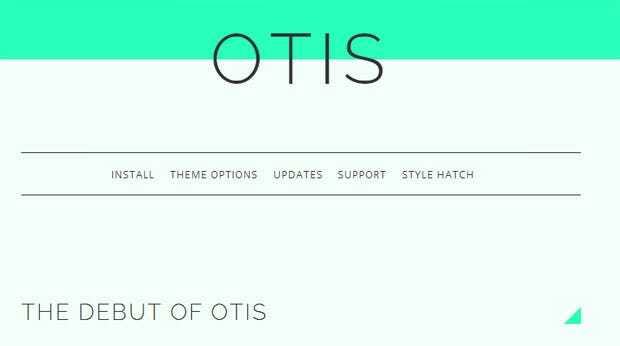 A theme that can be customized to change the colors. It has a tiled/grid layout ideal for posting images. 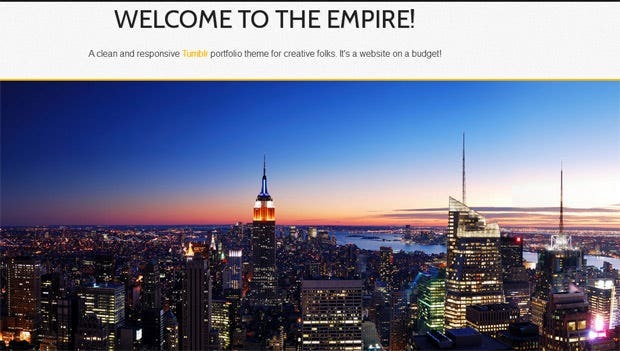 A responsive Tumblr template designed in HTML5. It can hold up to 5 columns of posts. It allows viewers to see enlarged versions of images in a new window. 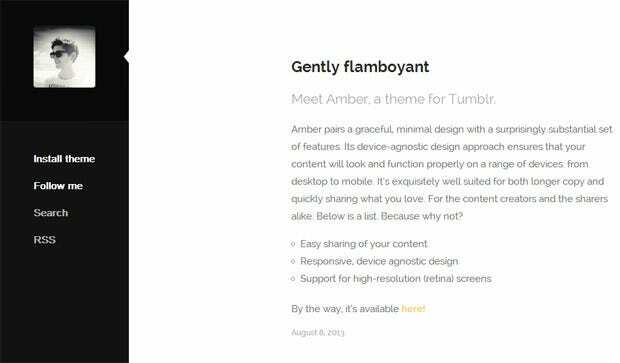 A great Tumblr template for a clean blog. 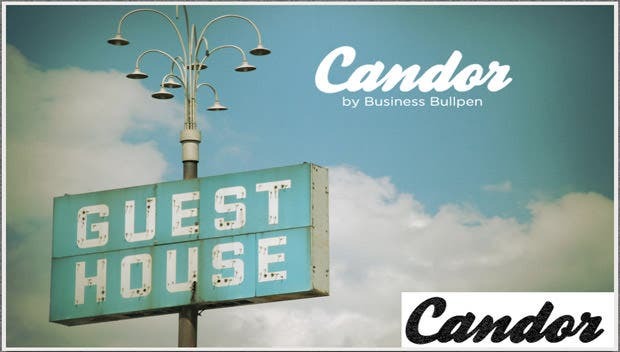 It allows users to type the blog name and it is displayed as a large logo at the top of the page. It has 2 to 3 columns.